Today’s post is my contribution to the world-wide movement from Historical Romance Network to share why authors and readers choose historical romance. Today, Friday, May 29th, Authors will post and tweet and share their own reasons why Historical Romance matters to them. 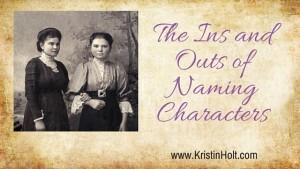 Q: Why do I write Historical Romance? I’m fascinated by days gone by. I enjoy the research about true historical events and the people who lived them. I’m curious about the development of the society/culture I live in… when inventions came about, new words added (etymology) to American English, and more. People (we’ll call it human nature) are the same no matter what era they lived in. Historical times were often simpler, yet the conflicts people faced way back then can be different than in contemporary times. Consider the challenge of knowing where someone is, then vs. now. Without passports, the Internet, credit card usage, investigators used different methods (and a whole lot more “elbow grease”). I’m genuinely interested in the lost arts of sewing, mending, home canning (bottling) and other food preservation techniques, tatting, looming, (vegetable) gardening, cooking, butter churning, cheese making, and more. The Victorian era lends itself to sweet (wholesome) romance because of societal expectations of modesty and morality. 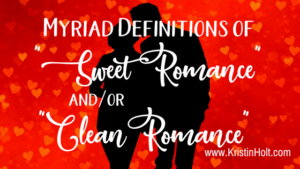 True, I can choose to write sweet romance in any place, in any time, and many authors do, but Western Historical Romance is my personal favorite. Courtship rituals of the late 19th century seem beautifully romantic to me (and often quite different from the contemporary). 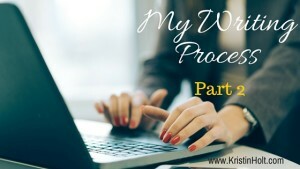 Writing, for me, is an unequaled creative outlet. I have the opportunity to explore the depth of human emotion, dig into motivations until I hit bedrock, and live vicariously in the settings and time periods I most adore. 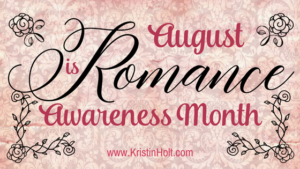 Today, May 29th, 2015, is also the day readers of Historical Romance will share why they love the genre, what draws them into historical settings of all kinds, and why they love Historical Romance! 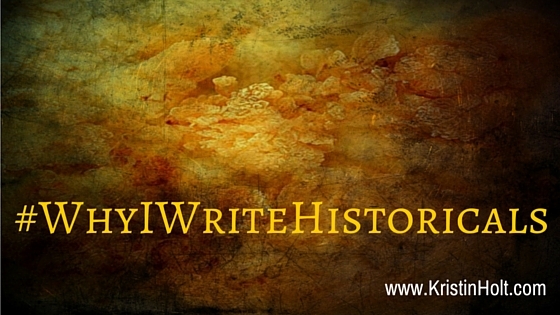 Look for #WhyIReadHistoricals on social media. Please consider joining the movement! 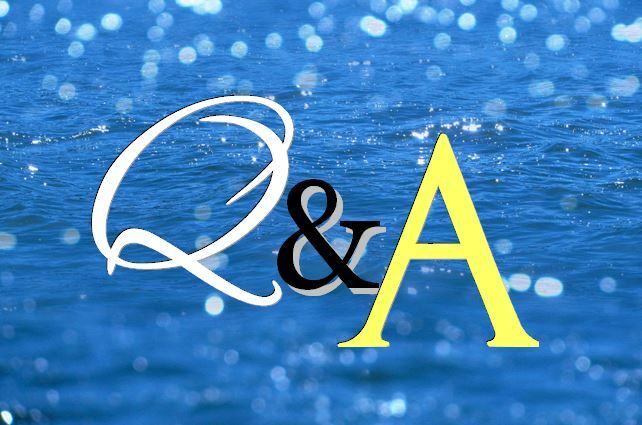 Tweet, share, post, and answer the question of the day: Why do YOU read Historical Romance? 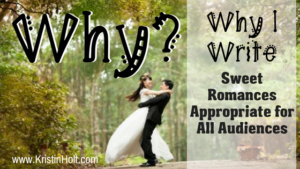 Q: Why do I read Historical Romance? I enjoy visiting locales, time periods, and events I’ll never otherwise experience. I’m fascinated by the Old West… and to a lesser degree: Regency England, Medieval Europe, etc. 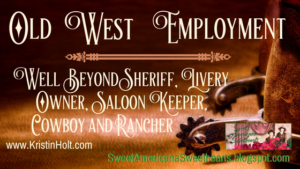 The Old West is a compelling setting for believable romances. The Old West is a perfect backdrop to showcase larger-than-life villains and wherein strong heroines and heroes prove their mettle. While I read a wide variety of fiction (and non-fiction), I most enjoy Romances because of the promised optimistic (if not happy) ending. Life can be a downer… and I enjoy reading for escapism and entertainment. If I’m going to “hide in fiction” (a.k.a. escapism and entertainment), there’s nowhere I’d rather be than in the Old West, immersed in a captivating romance. I’ve read so many Western Historical Romance “keepers“, I’m constantly drawn back to this niche, looking for my next favorite read. Men: cowboys, lawmen, businessmen, ranchers, hired guns… no matter what “hat” they wore, the men of yesteryear were a cut above! A well-crafted Historical Romance novel/novella/short story enriches my comprehension of history… a bonus! Exposure to other times and places deepens my comprehension of social issues, crises, gender inequality, and disasters of the past. My appreciation for my life and place in the world increases. Historical romance, even historical fiction, is my favorite for many of the reasons you mentioned. I’m especially drawn to the Westward Expansion thanks to my high school history teacher. The first book I ever wrote, which is hidden under the bed, is on the Oregon Trail. One day it may see the light of day. I love research. I can get caught up in it. I’m also drawn to all things WWII. The characters are strong, resilient, and willing to make sacrifices for the dreams they harbour in their hearts. 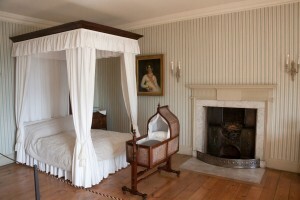 Historicals are roadmap to our own past.